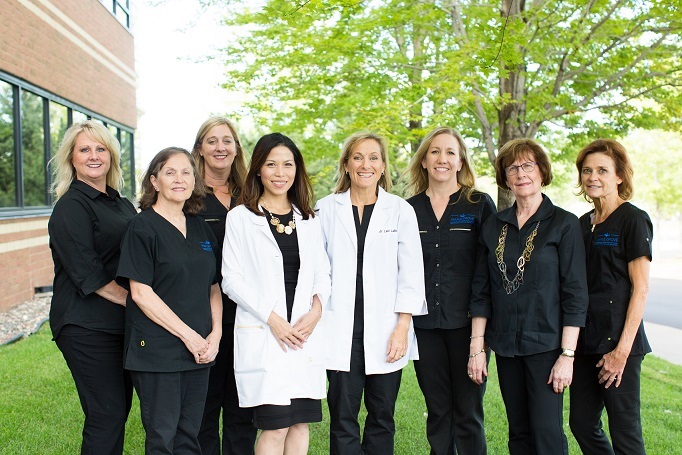 In October I will have been part of the Maple Grove Periodontics and Implant Dentistry for 20 years. Working with many wonderful patients and seeing the positive results of our treatment is the best part of my job. I am dedicated to making optimal periodontal care manageable for our patients dental budget. Prior to working for both Dr. Ron and now Dr. Lani, I worked for a general dentist for 10 years in Washington State. I live in Plymouth with my husband Tom and enjoy spending time with my grandchildren and children at our farm in Southwestern MN. I also enjoy canning, sewing, and doing jigsaw puzzles with family and friends. assisting degree. 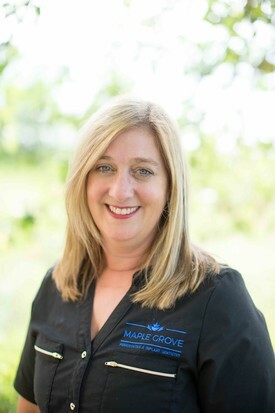 I have worked in general dentistry for all of my career until working here at Maple Grove Periodontics and Implant Dentistry. I enjoy meeting newpatients and creating a positive experience for them within our office. Outside of work I love spending time with family, friends and being outdoors. My dental career began in 2004 after being a Nanny for 10+ years. I graduated from Hennepin Technical College in 2004. 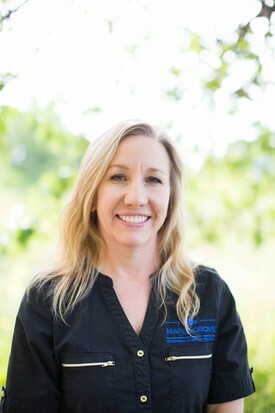 I worked in Oral Surgery for 5 years and went on to work in Orthodontics for 3 years before finding my dream job here at Maple Grove Periodontics and Implant Dentistry. I enjoy meeting new patients every day and educating them on how to improve their dental health. Outside of work I love going on bike rides, walks with my dog, dog training and horseback riding. My dental career began 18 years ago. I graduated from Dakota community college. The majority of my dental career has been in periodontal practices. Patient education and periodontal health is very important to me. 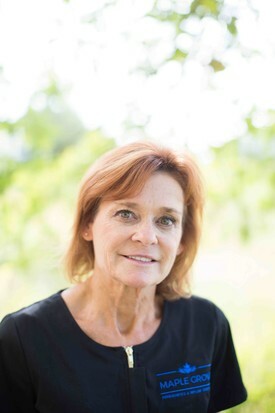 I am married with five children and enjoy spending time outdoors, camping and hiking in beautiful Minnesota. I graduated from Mankato State University in 1977 with a degree in Dental Hygiene. In 1981 I graduated from the University of Minnesota with a B.S. in Public Health for dental hygiene. 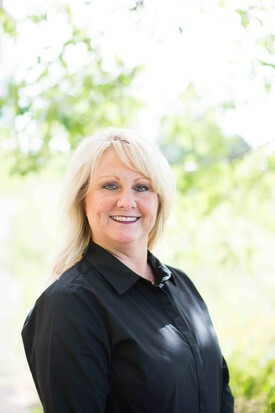 Prior to working for Maple Grove Periodontics and Implant Dentistry I worked in general dentistry as well as in Orthodontic offices, schools and nursing homes. I have been with Maple Grove Periodontics and Implant Dentistry for the past 30 years working along side Dr. Ron and Dr. Lani. I enjoy helping others achieve good oral health goals. I have been married to my husband Cameron for 31 years and have 2 grown children Amanda and Travis. Amanda lives in Chicago and Travis is close to home here in MN. The newest addition to my family is my cat Griffin who brings me much joy. Outside of I enjoy teaching yoga classes several times a week, swimming, bike riding, running and roller blading. 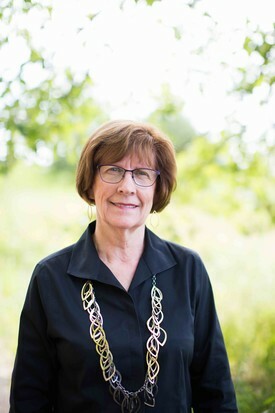 I graduated from the University of Minnesota in 1973 in the dental assistant program. I worked in general dentistry for over 10 years. I then went back to the University of Minnesota and got my degree from the school of Dental Hygiene. 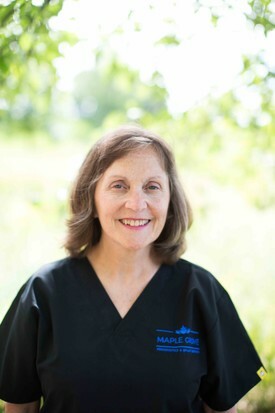 I have been with Maple Grove Periodontics and Implant Dentistry since 1996. I enjoy encouraging patients towards better dental health. Outside of Maple Grove Periodontics and Implant Dentistry I spend quite a bit of time volunteering for the Boy Scouts of America. I am also active in my church and caring for my elderly mother. I have 2 wonderful grown children Eve and Luke. I also enjoy working on crafts, knitting and quilting.